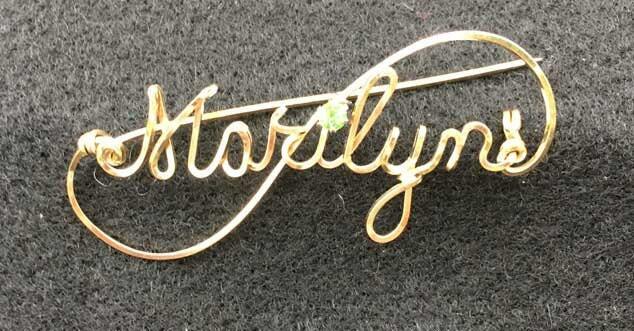 Beautiful American Handmade Brooch Pin. Heirloom styling that was popular in the 1940's - your Great Grandmother may have had one of these. Check out our sweetheart designs. 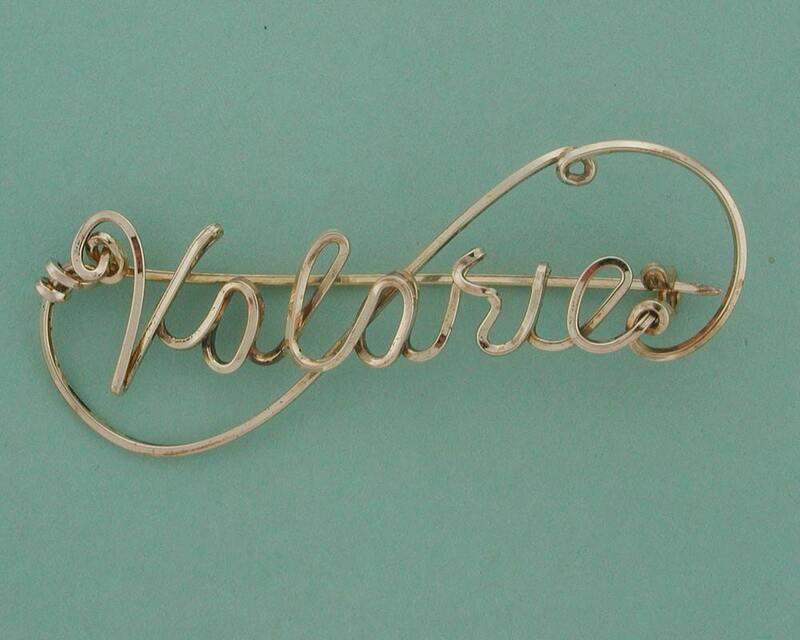 Hand bent and carefully formed, this beautiful and fun name brooch has been designed to be as versatile as it is unique. This piece can be worn as an eye catching brooch or as a more functional item to secure your favorite knitted sweater, scarf or shawl on those days that an extra layer feels good. The simple lines are manipulated and formed into a strong flowing name from one single piece of wire that bends back upon itself and then swirls over and under to add strength along with unique styling to catch the light to make a subtle yet bold statement. If you desire your customers to know your name without wearing a name badge, this is truly a beautiful compromise of function and style. 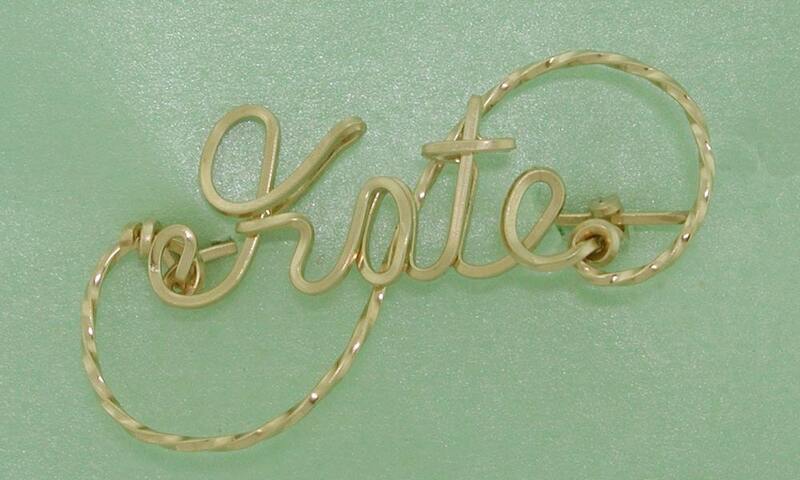 Customize with any name that you want - Mother, Mom, Grandmother or any given name you want. 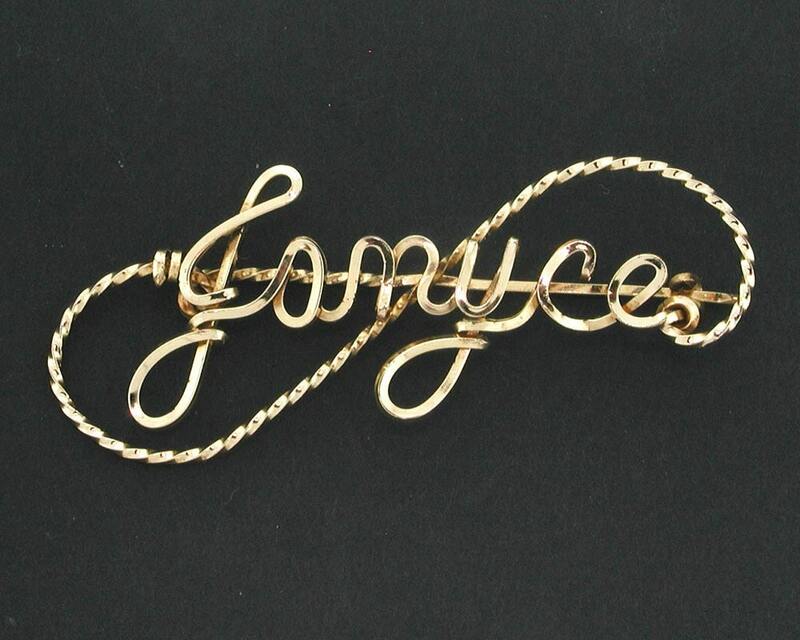 Available in gold or silver. We can also make those special names like Oma, Abuela, Tia, MeMaw, Nanna - whatever special name your kids have come up with for that special lady in their lives.